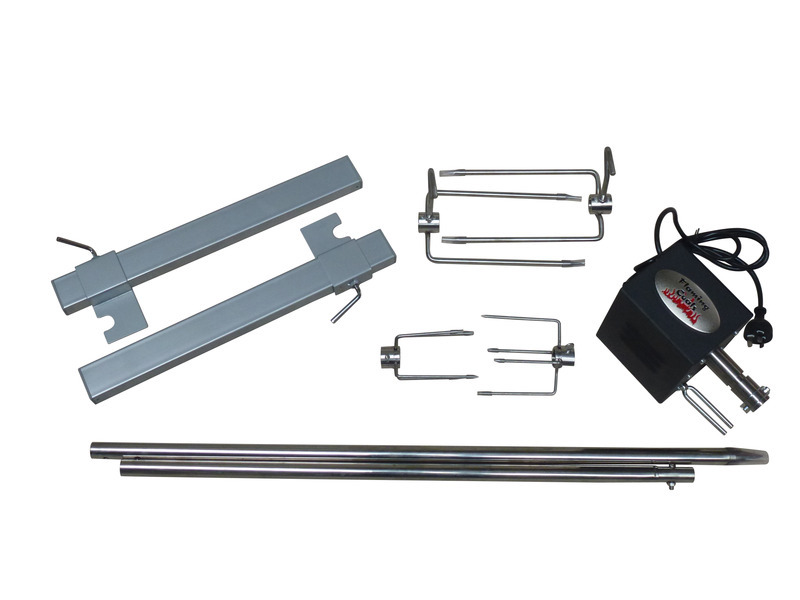 For those of you wanting to make your own charcoal spit roaster, we have a variety of DIY spit roast kits suiting anyones budget. 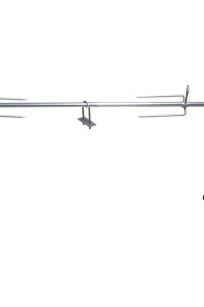 Complete with motor, skewer and a range of accessories, click to view our range DIY spit rotisserie kits for sale. Ideal for those of you who quickly want to bang up a spit on a budget. You can either cut a keg or 44 gallon drum in half, screw on the upright pillars and away you go. 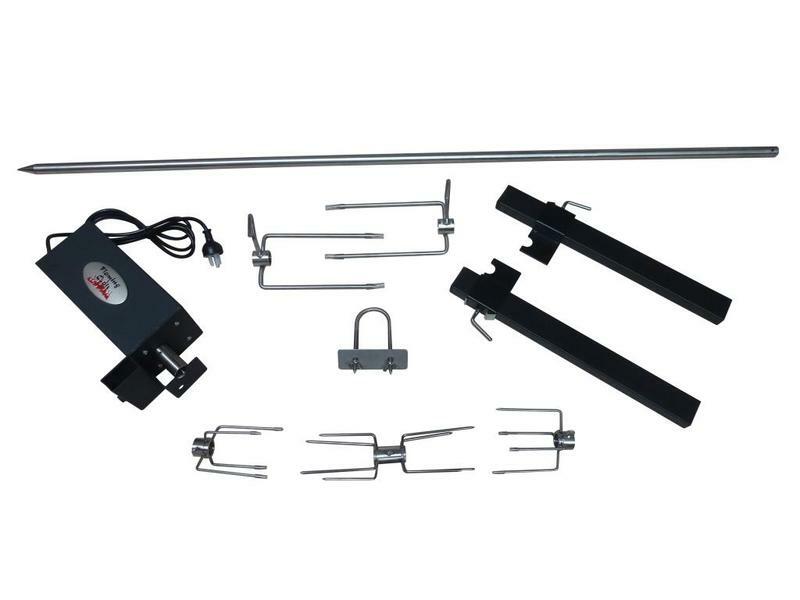 For the ones who like the professional touch to your home made spit roast, this Flaming Coals DIY Rotisserie Set -The Works, is ideal with its stainless steel accessories. There are so many options you are only limited by your imagination…. 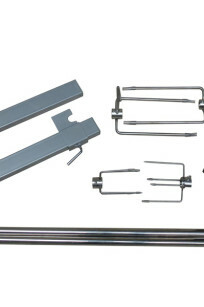 Bolt the uprights onto an existing 44 gallon drum, frame, BBQ etc, or simply hammer some wooden stakes into the ground, slide the upright pillars onto the stakes and cook directly over an open fire. This new and improved Flaming Coals portable camping spit set is perfect for camping, sitting over a 44 gallon drum or cooking directly off the ground. It is designed with strength in mind which make it far more superior than other portable spit sets available on the Australian market. 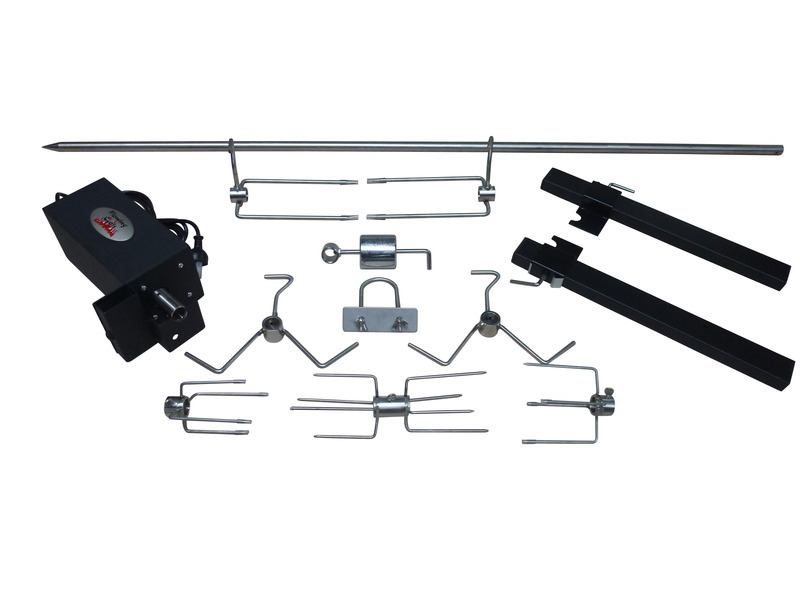 Complete with stainless steel accessories, an extra tall frame, better height adjustment functionality and locking pins, this is the next model up from the standard tripod sets. 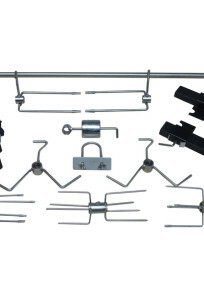 For the ones who like the professional touch to your home made spit roast this DIY spit roast kit is ideal with its stainless steel accessories. Please note: Accessories may vary pending on availability. 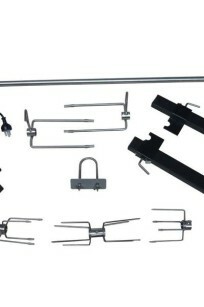 For the serious spit roaster the ultimate stainless steel DIY spit roast set is ideal. 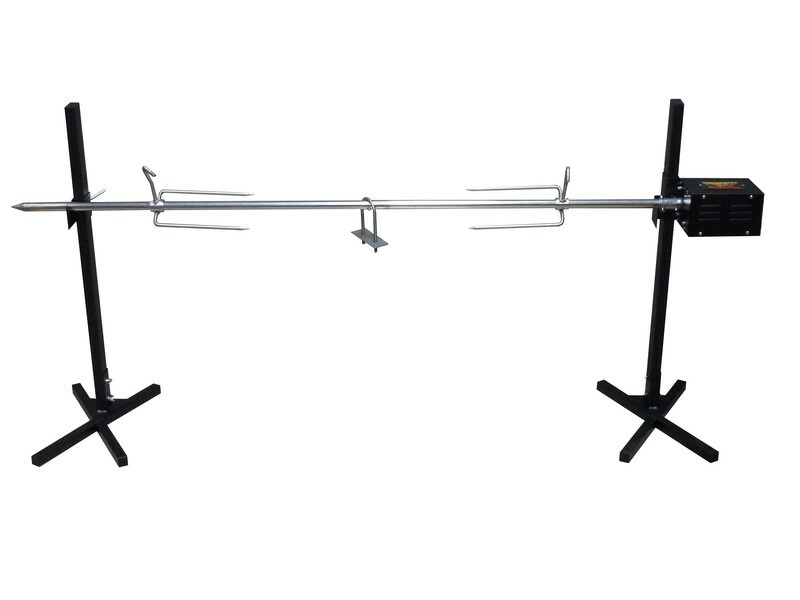 Featuring a solid 22mm x 160cm long skewer and a 60kg induction motor with 4 stage bearing protected reduction gearbox this spit set is the best affordable Spit roast kit money can buy.